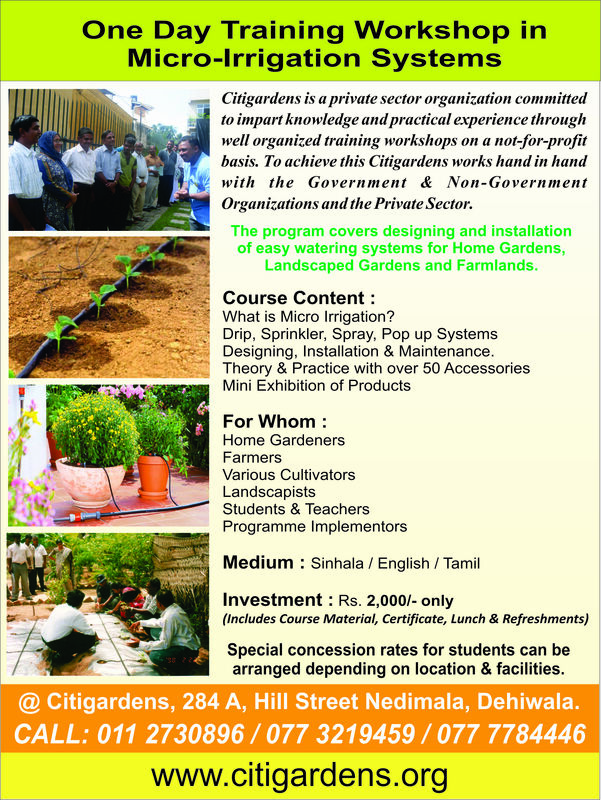 Citigardens Forum (also known as CGF) is our members’ community comprising our customers, employees and experts on the subject of Modern Agricultural Techniques & Green Business. We communicate with our members via SMS, e-mail, WhatsApp and Facebook. In addition to knowledge sharing, all our members are entitled to various financial and non-financial benefits. Obtain an application from any of our branches by paying just 300/=, complete and submit to the Head Office. You may gain the benefits once you receive the cards by post. Purchase any item for over Rs. 10,000 and be entitled to a free membership (The filled application should be submitted before billing to be entitled for the benefits). If you have a recognized qualification in a related field to Citigardens, and would like to share your knowledge or services, you are entitled to a forum membership (conditions applied).